I have to admit, I don't exactly think of charming little farms when I think of New Jersey, but undoubtedly there is more to the state than what one sees driving down the turnpike. This little farmhouse is proof that New Jersey must have pockets of beautiful land and towns. 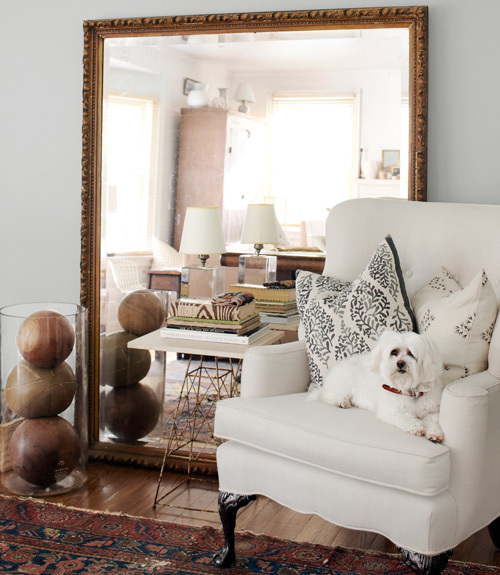 The home belongs to designer Terri Cannon-Nelson. 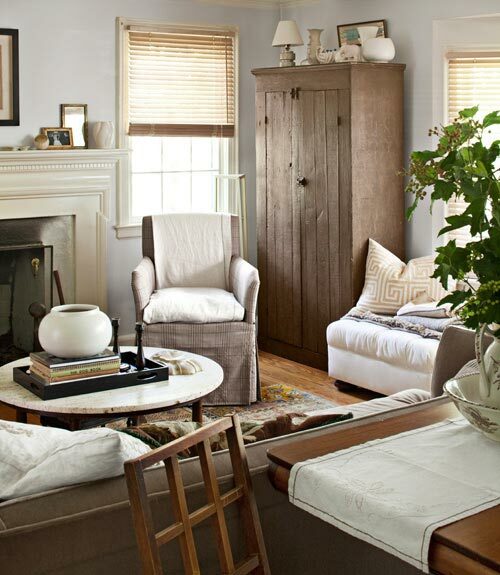 Terri has utilized some high end resources (they splurged on cabinetry), paired with some more budget-friendly choices (west elm, target, and ikea). Love this mix - a country table, a Noguchi lantern, and an over-dyed rug from the 40s! 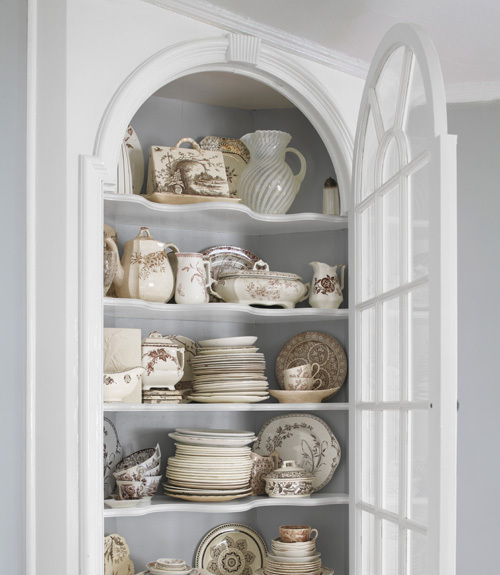 A gorgeous built-in houses her china collection. 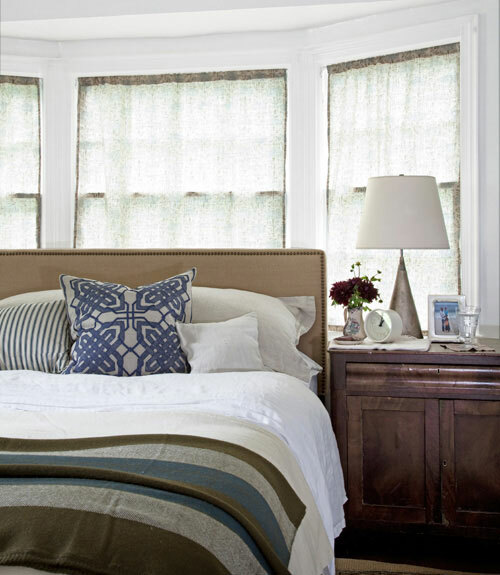 What do you think of this New Jersey abode?